PLM Cloud, Data Replication and Pig Latin. 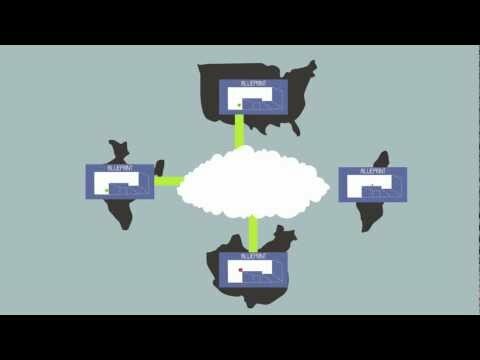 The Ilesfay team brings unique IP and tremendous domain expertise to its cloud services. The team has years of experience tackling infrastructure limitations of PLM implementations. The traditional approach to replication moves calculations to the data then shuttles results, but this solution quickly fails with highly associative engineering data central to PLM. Ilesfay has invented preemptive binary differencing, a breakthrough approach for determining who needs data and when and how to schedule it, such that vastly more data can flow through existing IT infrastructure. The Ilesfay video made me think about some aspects of replication and technology evolution. In my mind, the advantage of cloud is to have a place where the information is located so, it can be conveniently accessed from multiple places and devices. Accessibility is one of the fundamental advantages of the cloud. Google Apps is probably one of the best examples where you can optimize your work by stop sending emails, document attachments and stop replicating stuff between different computers. So, here is the topic I want to discuss. We can replicate data using different technology. I didn’t try the one that comes from Ilesfay Technology, but assuming everything works smooth, it can help us to replicate data and not to disrupt people’s work in a current environment. Replication is known technology used by multiple PDM/PLM (and not only) companies. I think to prevent people from making changes and support their distributed work is a big advantage, and companies can go with this option. However, think a bit “long term” I can some disadvantages too. We need to take care of storage in all locations (data is replicated), to replicate all data is not always appropriate because of security and IP protection concerns. So, administration will be required to define what should be replicated and what not. What is my conclusion? I can see some advantages and disadvantages in both solutions. Replicating data is probably fewer concerns and pain (in terms of change). At the same time, future cloud efficiency, system utilization and cost can drive people to a type of solution where data that needs to be shared is located on the cloud. No synchronization needed. I’m interested to know what is your opinion. Speak your mind.